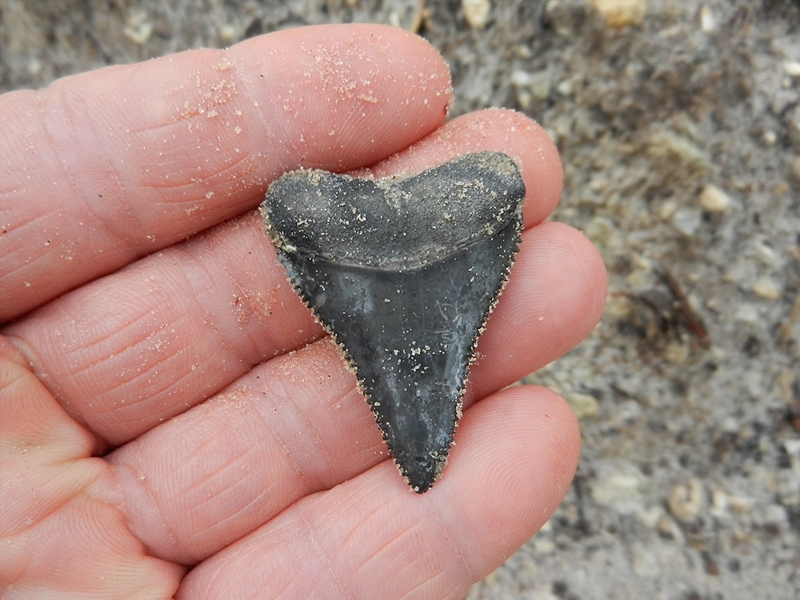 Hunting for fossils is both rewarding and adventurous at the same time. 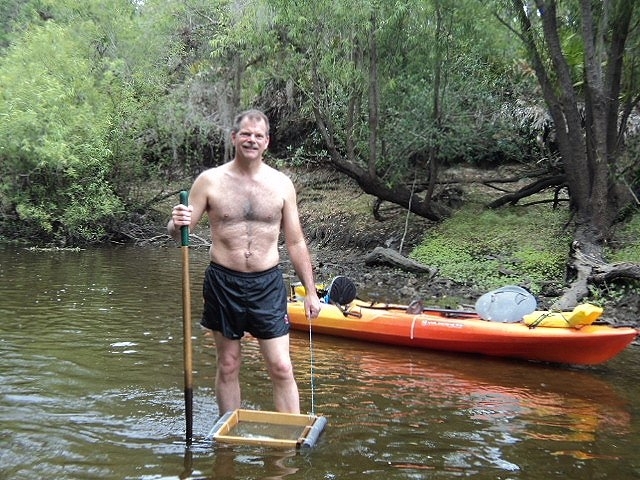 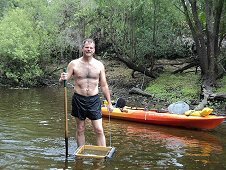 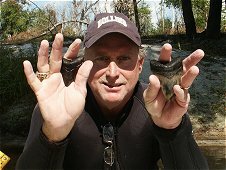 Whether I am diving in the ominous black waters of Florida rivers or simply walking on land picking up sharks teeth after a good rain, it is a thrill of a lifetime! 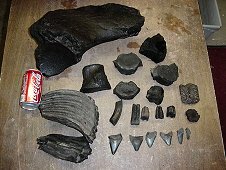 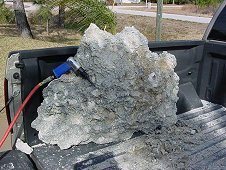 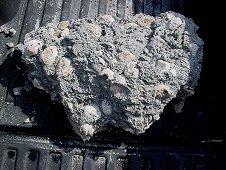 I have casually hunted for fossils while growing up as a kid, however it wasn't until I moved to Florida in 2004 that I started to scuba dive for fossils. 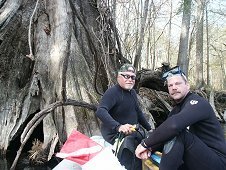 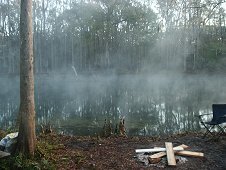 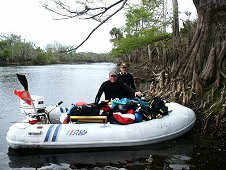 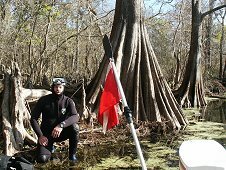 I became a certified diver in 1976 while in Washington state but never dreamed I would be hunting in the same black waters as alligators, poisonous snakes and other dangers. 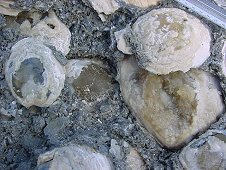 While the hazards are ever present, I am still driven to hunt for the fossilized remains of creatures that are either extinct or have not roamed in North America for ten thousand years! Surface hunting for fossils around Venice Beach in July 2012. 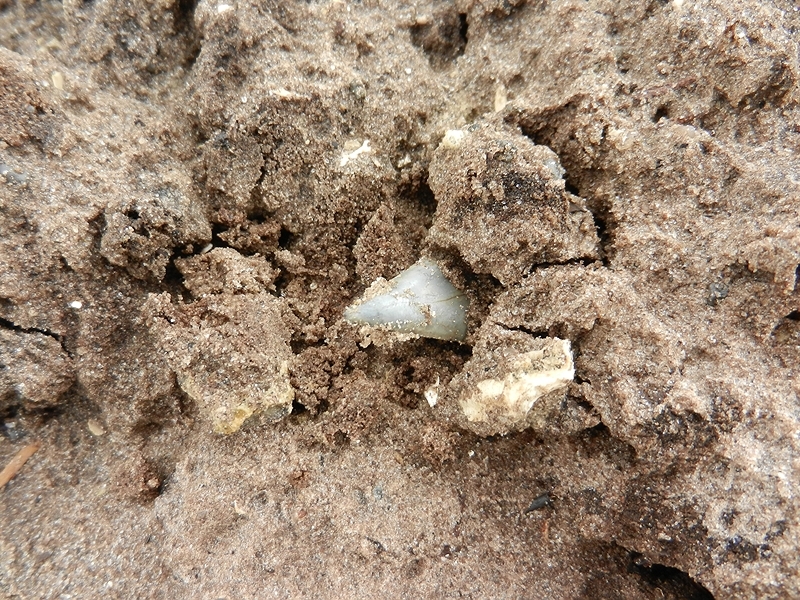 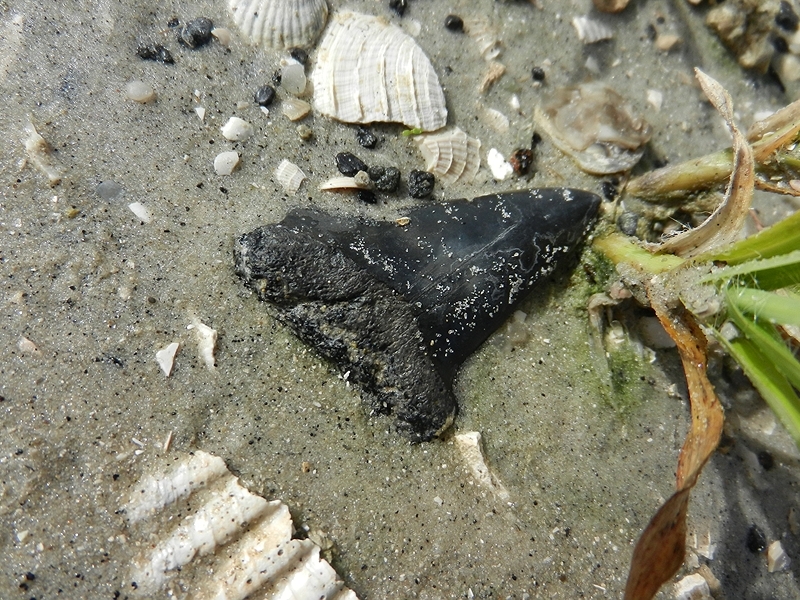 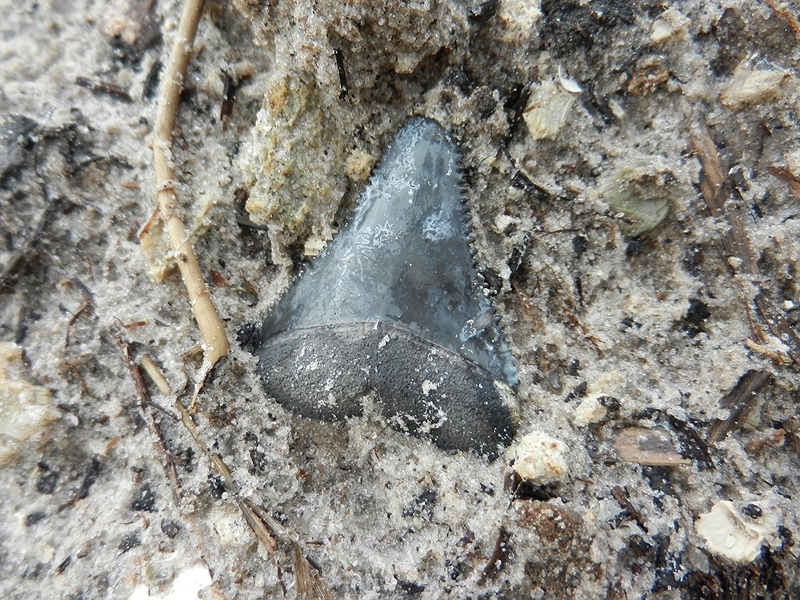 Shark tooth trying to hide from the hunter! Try and hide, I see you! Perfect fossilized Great White shark tooth. 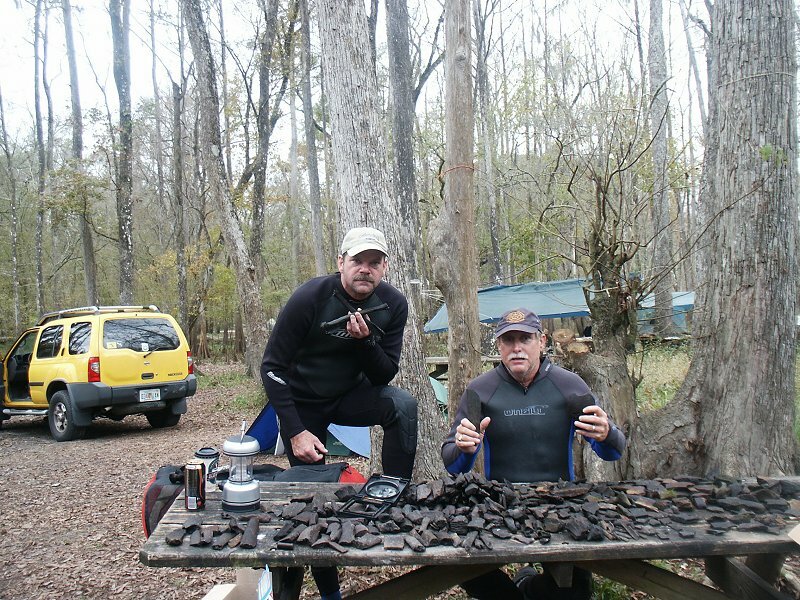 April 2012 kayak trip to screen for fossils. 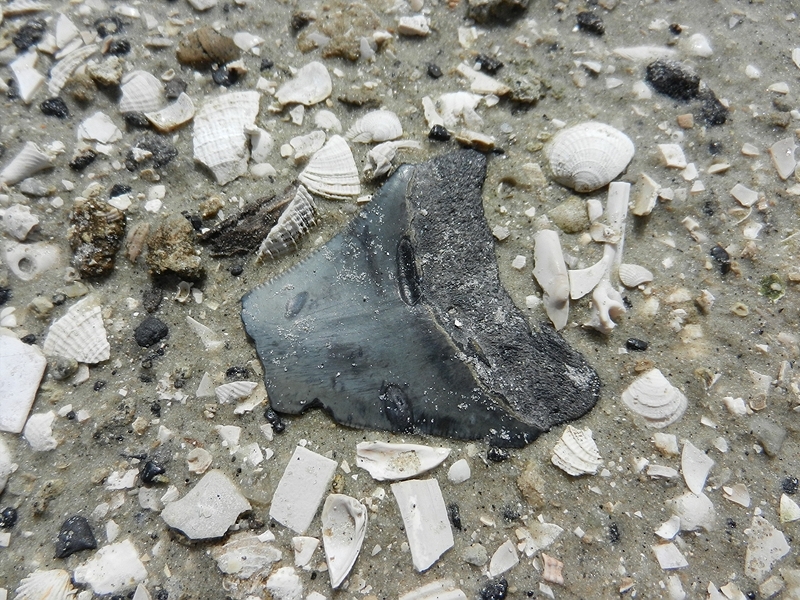 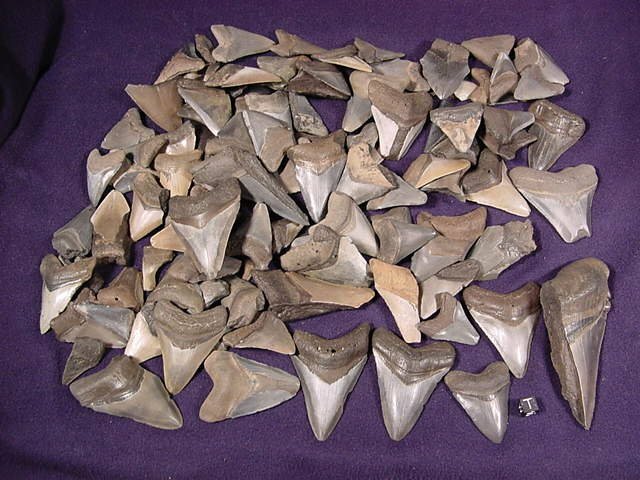 One day of screening results in hundreds of fossil shark teeth! Fossil llama canine tooth. Aucilla River August 2010. 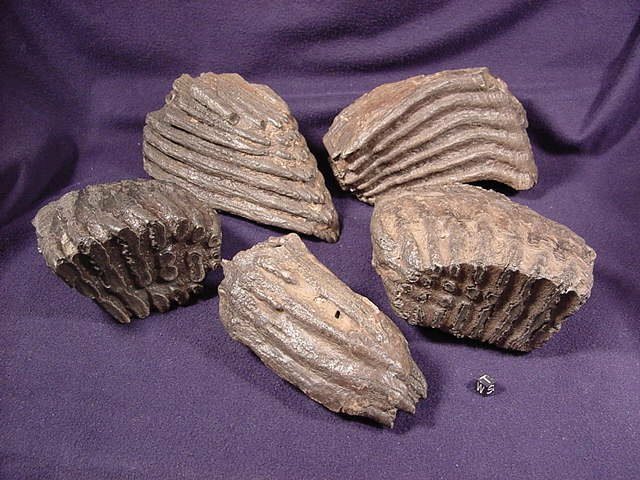 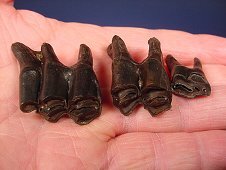 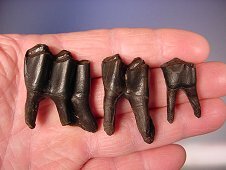 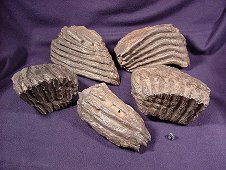 Fossil llama molars found in Aucilla River. 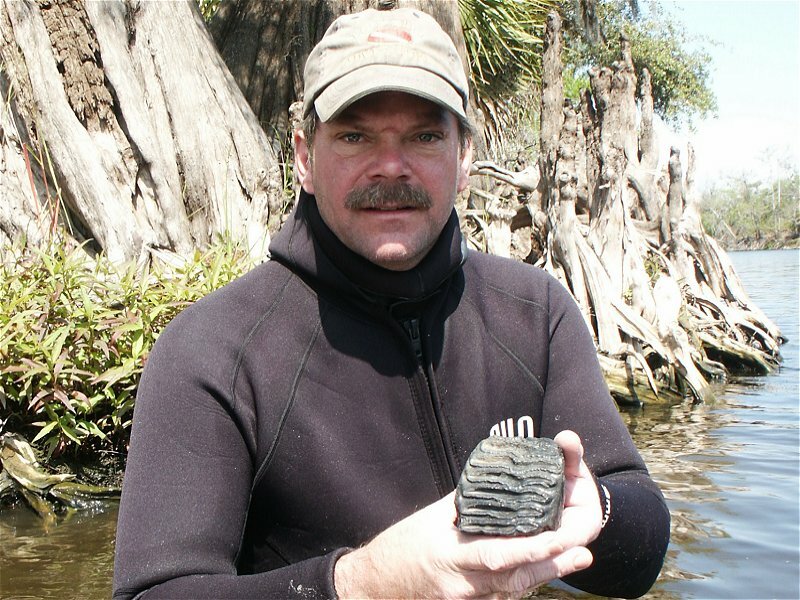 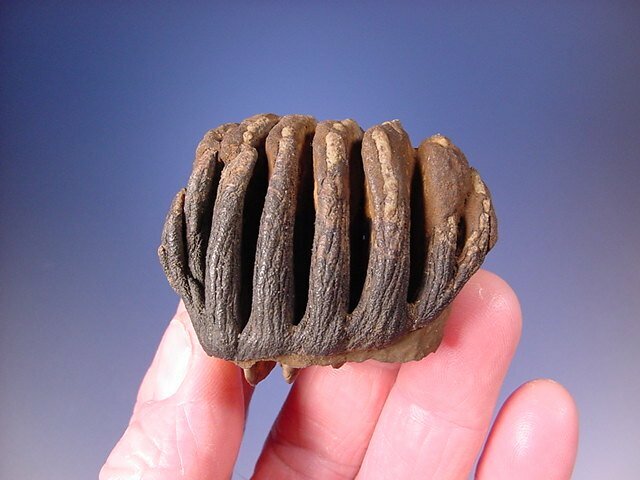 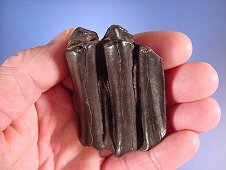 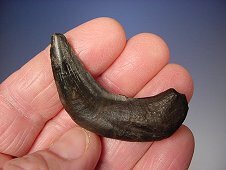 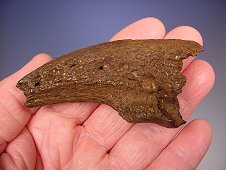 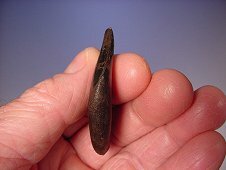 Partial ground sloth claw core found in Aucilla River. 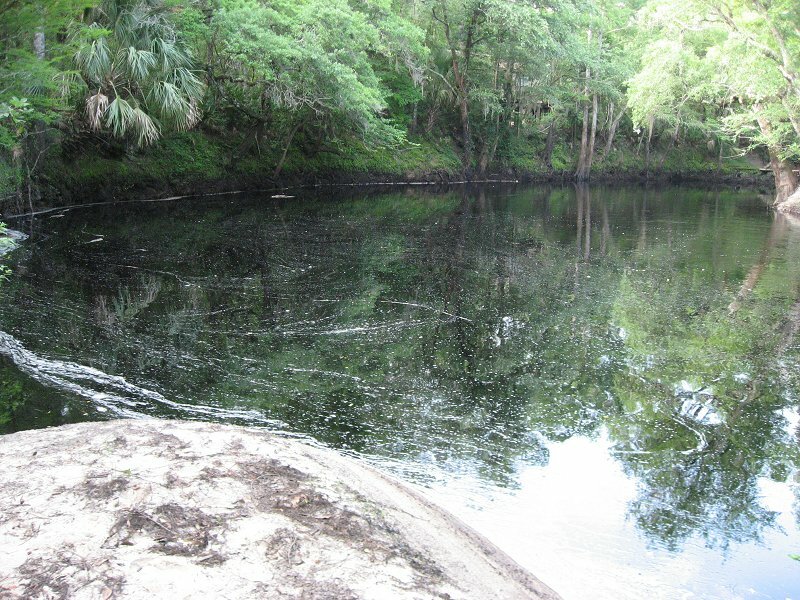 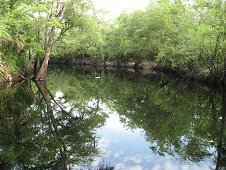 Black waters of the Aucilla River in northern Florida. 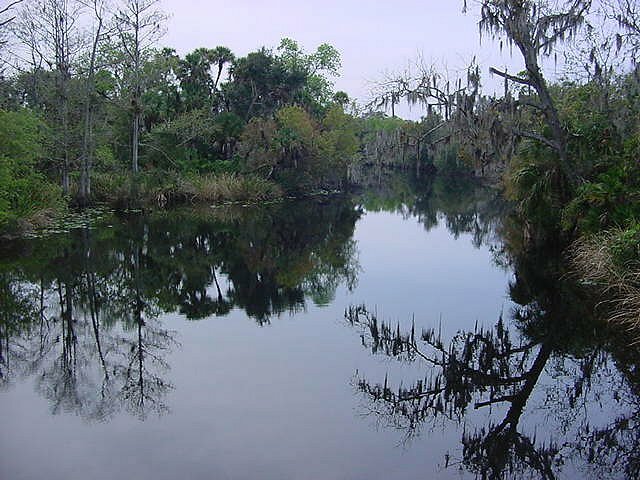 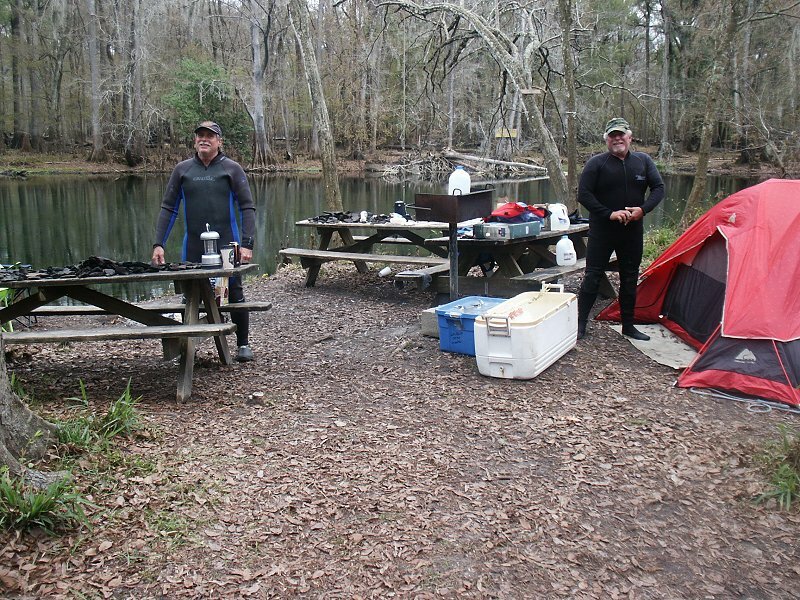 Aucilla River, Florida. 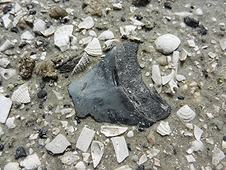 Many well preserved fossils found here. 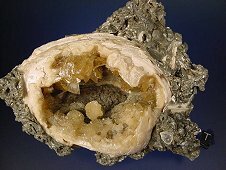 Matrix with calcite in fossil clam from Rucker's Pit, FL December 2009. Using air chisel to remove bulk matrix. 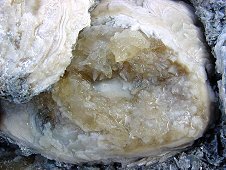 Calcite clams starting to be exposed from matrix. 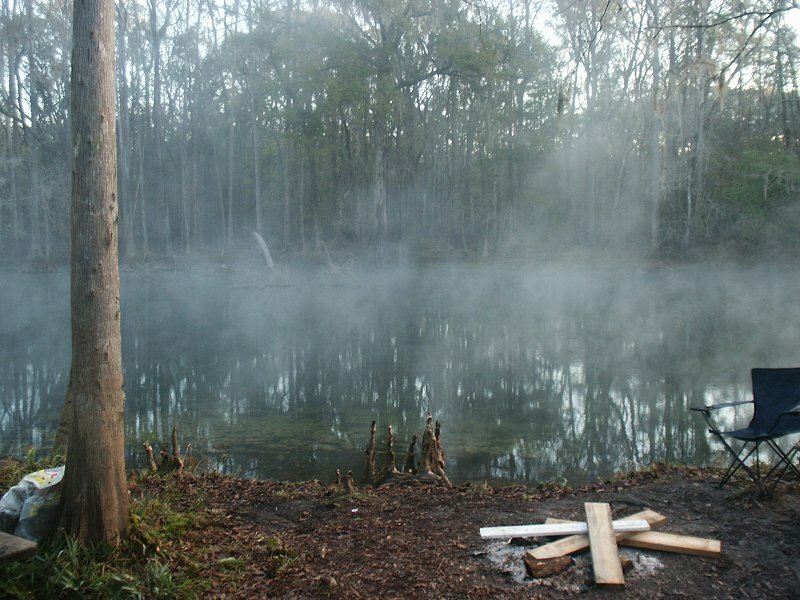 Starting to look a little nicer! The beauty of the honey-colored calcite crystals glimmer in the sun. 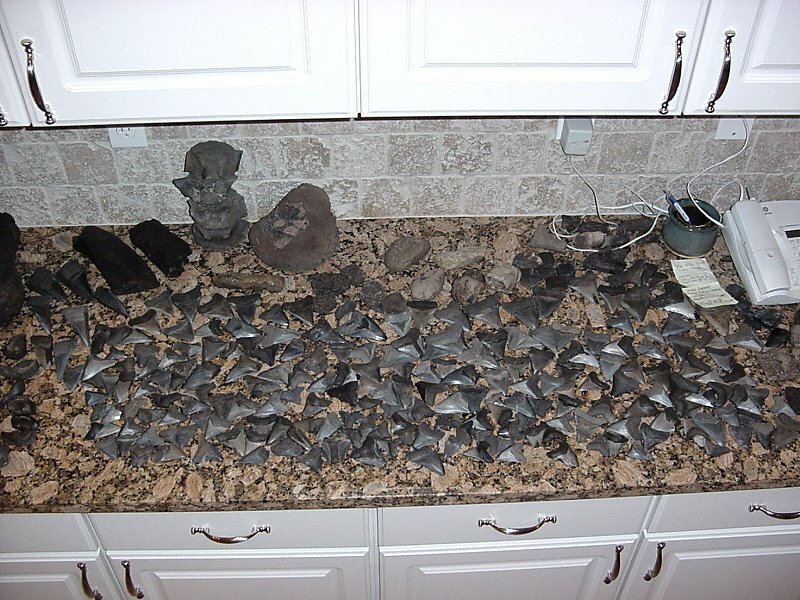 Must be more careful cleaning at this point. 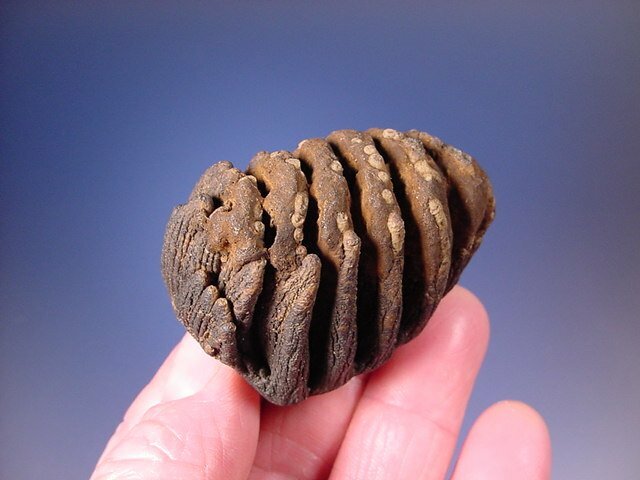 A gorgeous fossilized clam filled with dog-tooth calcite crystals! 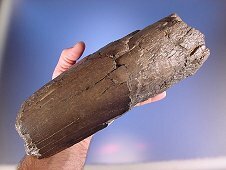 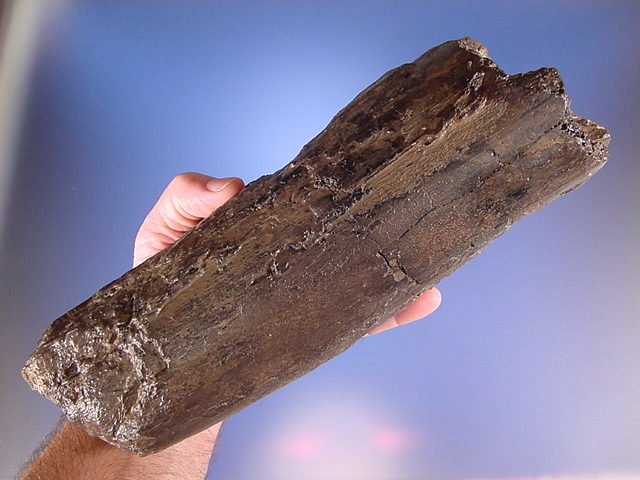 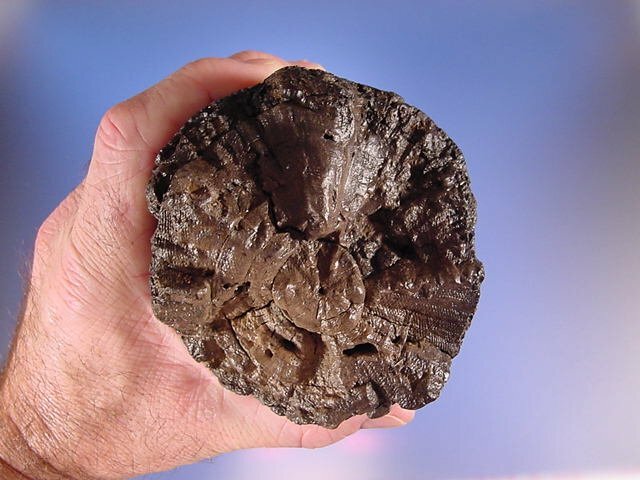 Foot-long section of mammoth or mastodon tusk found in Payne Creek December 2008. 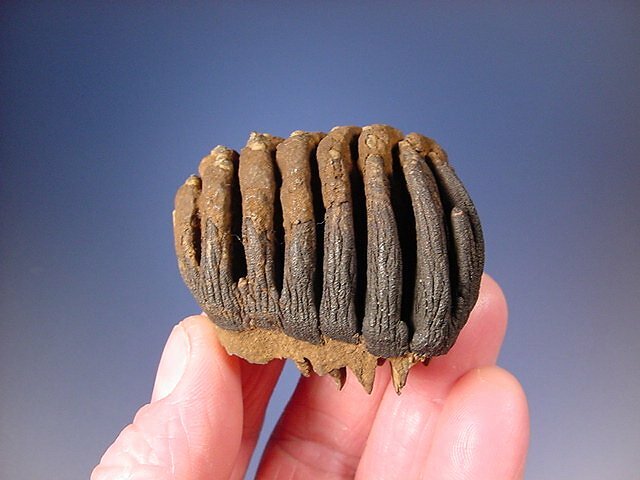 Fossil bison tooth in excellent condition. 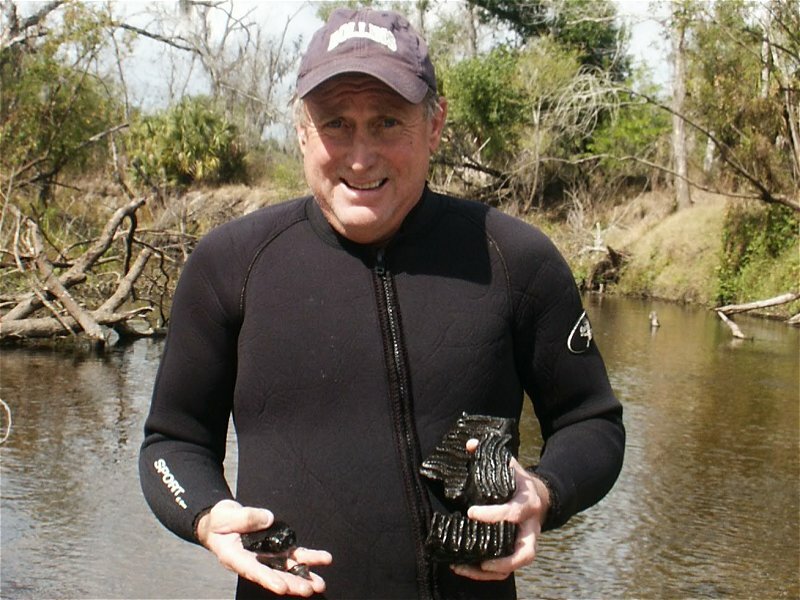 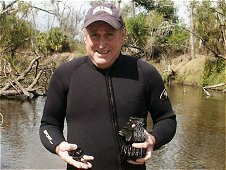 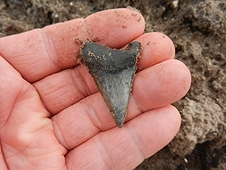 John Rollins with two nice Meg teeth found in south Florida creek in 2007. I found a 'honey hole' in a creek that produced hundreds of Meg teeth in 2007! Same 'honey hole' produced a few dozen mammoth teeth as well!! 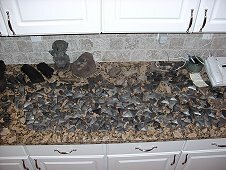 One weekend of hand fanning sand to reveal a counter full of Megs. 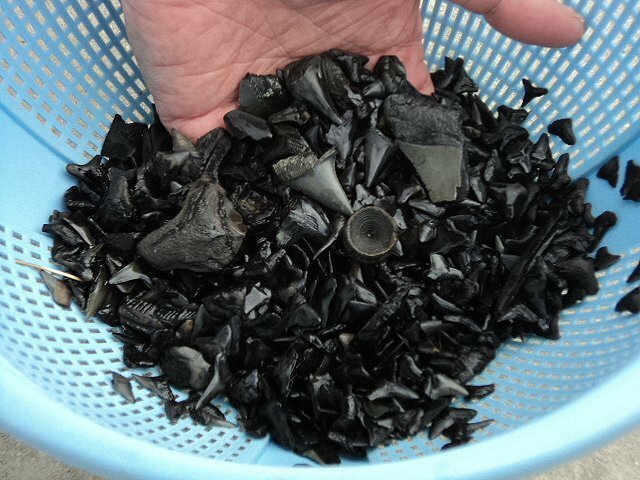 One day of hand fanning sand while snorkeling revealed these. One of the mammoth teeth from the 2007 'honey hole' site. 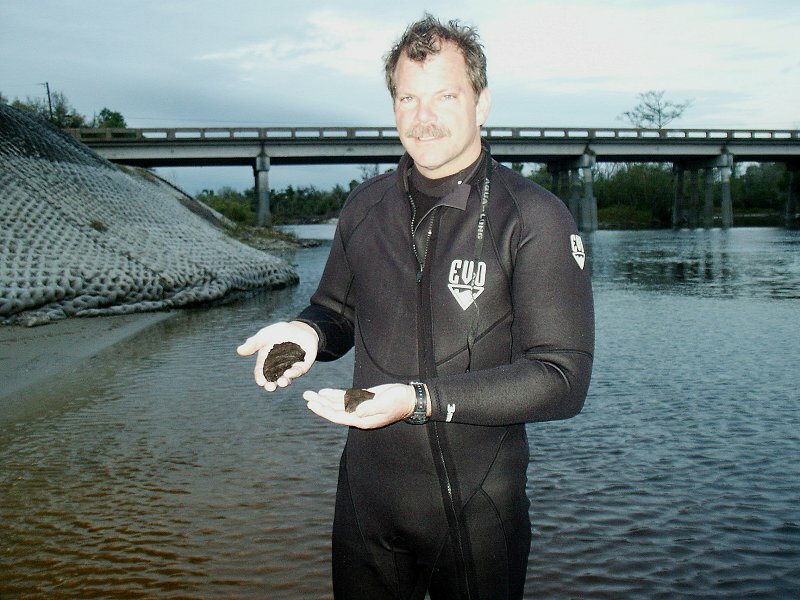 Diving for fossils on the Peace River in March 2007. 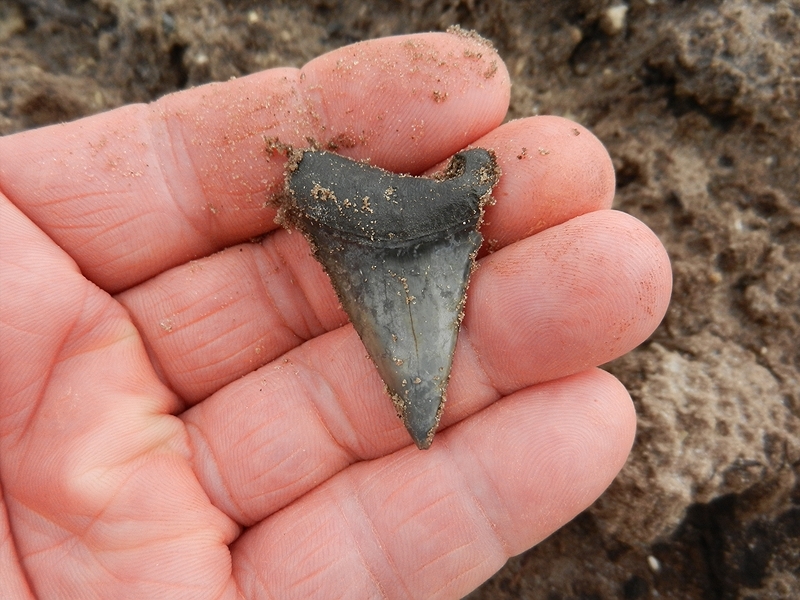 I found a mammoth spit tooth and small Meg tooth. 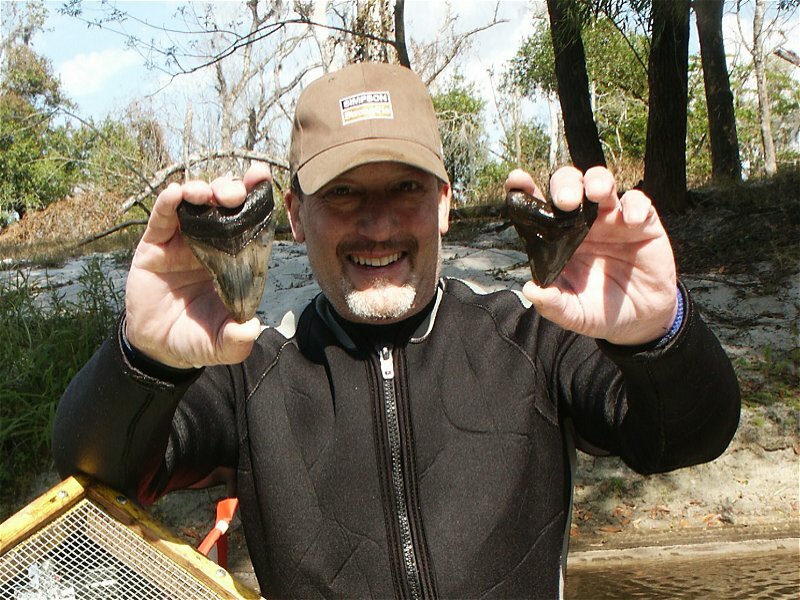 Tom Lichauco was real happy with his two Megalodon teeth! 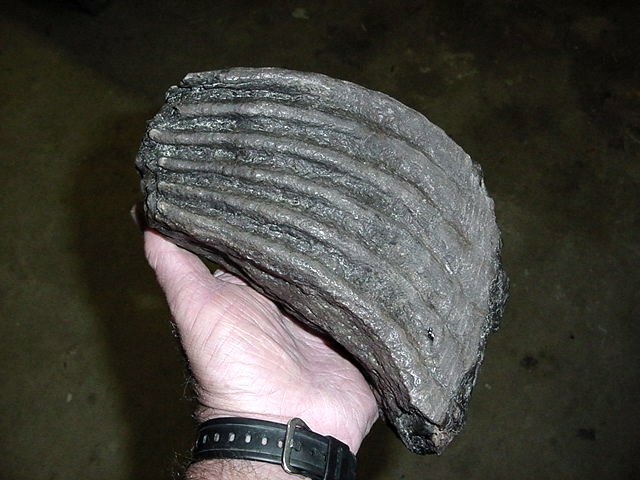 Here's half of a solid mammoth tooth. 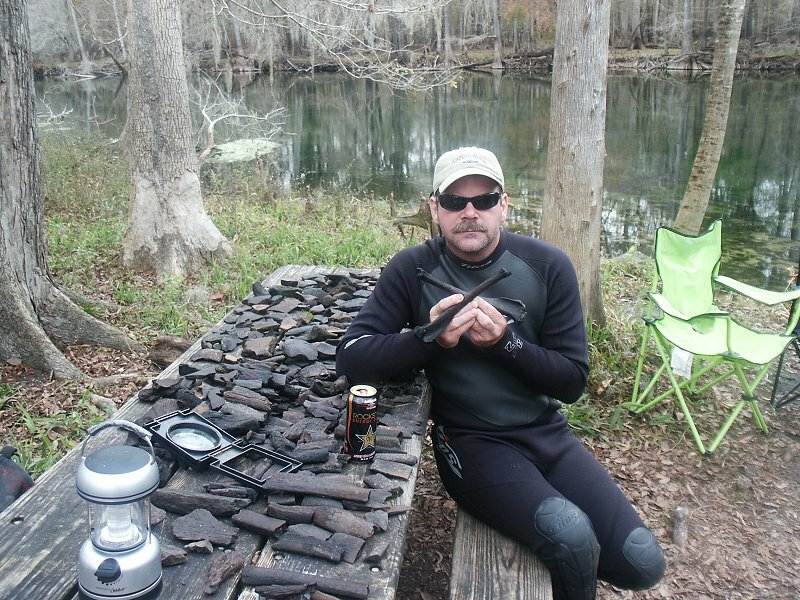 John Rollins with several mammoth teeth sections and a couple shark teeth. We read that Shell Creek was a good place to dive for fossils... We found none! 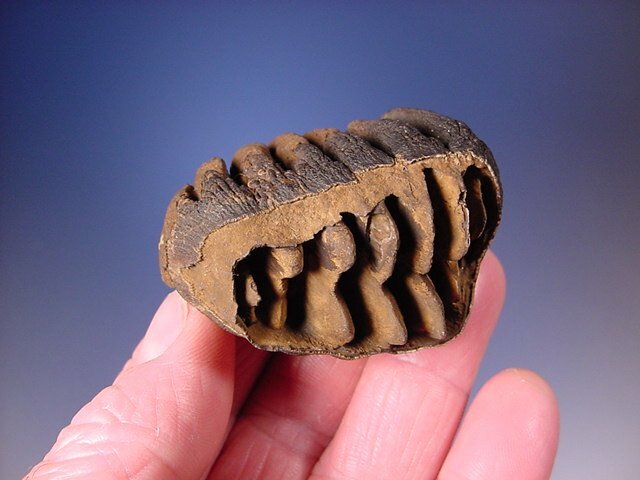 Juvenile mammoth tooth I found while screening in Peace River in December 2006. 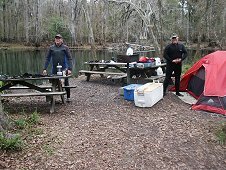 Camping along Santa Fe River. 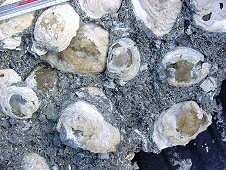 Winter fossil trip December 2006. 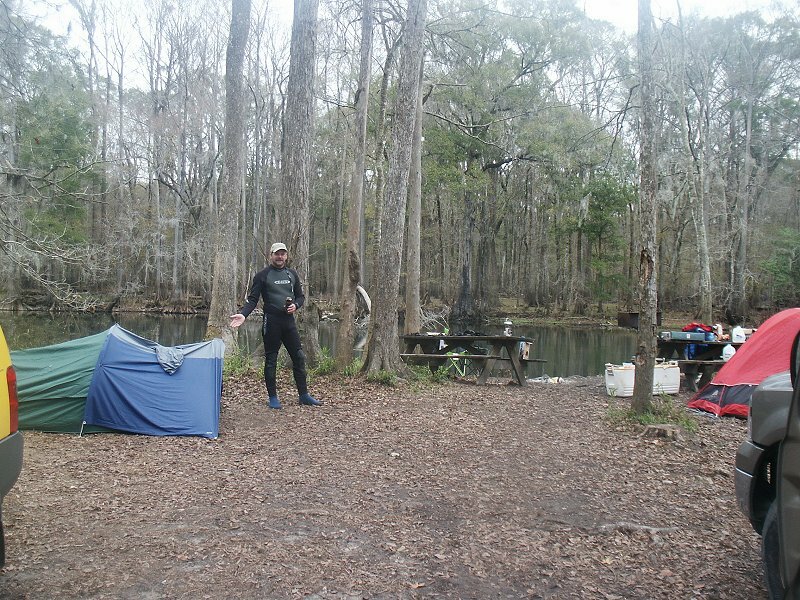 My tent was just big enough for me and my dive gear! 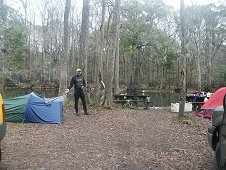 The water temperture was 70 degrees, the air was 32!! 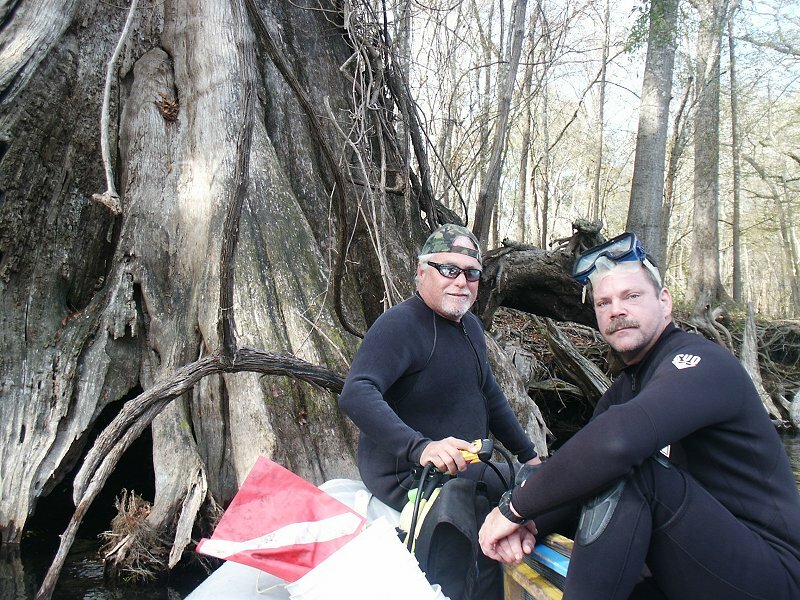 Greg Hupe (right) and George get ready to dive for fossils. 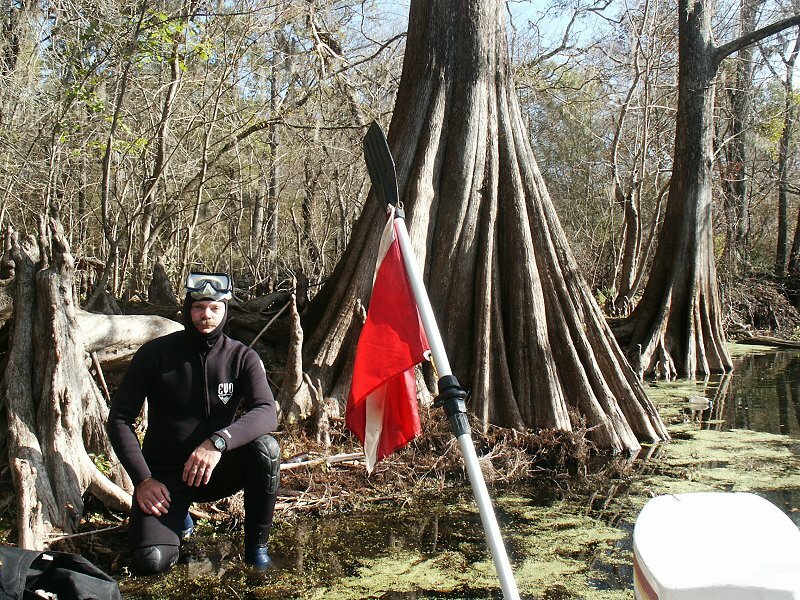 Greg is wondering if it was a good idea to dive in this swampy area! 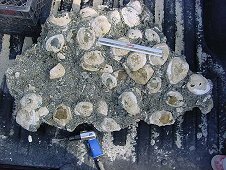 We brought back all of the fossil bone material we found to inspect. 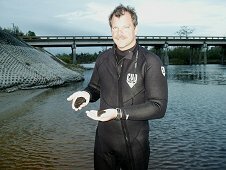 The 'pirate's cross' may bring us good luck on next dive. 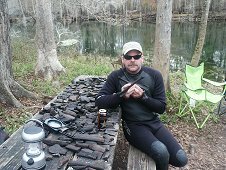 John gives it a try. 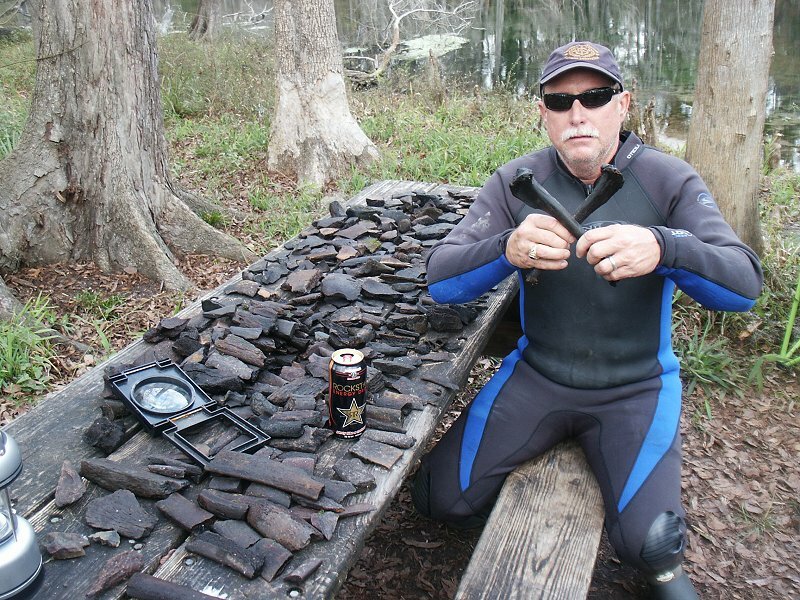 We'll find out if the 'good luck' works the next day! 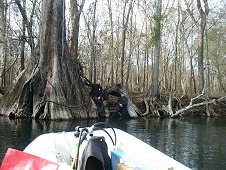 After returning fossil bones we did not want, we took a break in a cypress tree.